The mission of The Recovery House is to provide a secure and serene environment to people suffering from serious mental illness, in which they learn to live with and manage their illness, as independently as possible, to work productively, to help others and to maintain those accomplishments throughout their lives as integrated, functional human beings. •	Recovery is always a possibility. •	Recovery is a non-linear process that crosses systems. •	Recovery is a strengths-based process that involves personal choice and the individual’s commitment. •	To define individuals and their recovery by their strengths; not their mental illnesses. 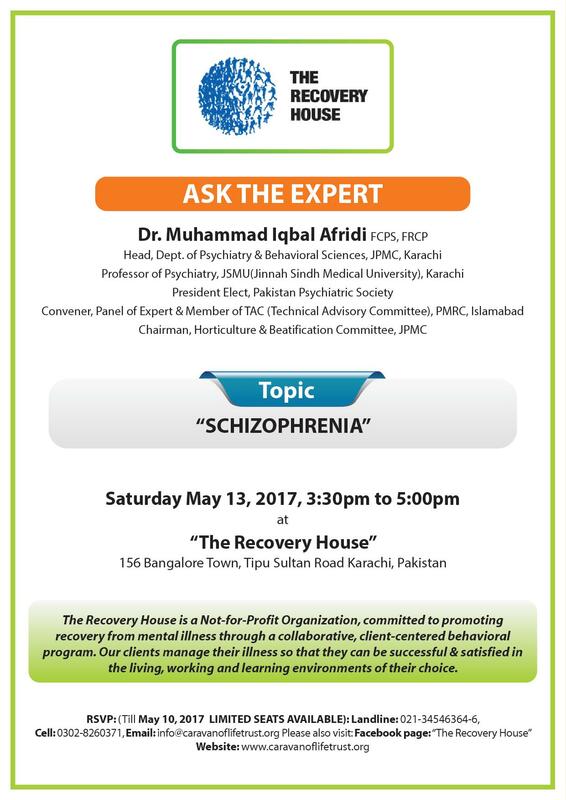 •	To redefine recovery as per the needs of each individual client. •	Hope is the key ingredient. •	Respect the human dignity and worth of every individual served. •	Practitioners and family members are partners with clients in the process of recovery. 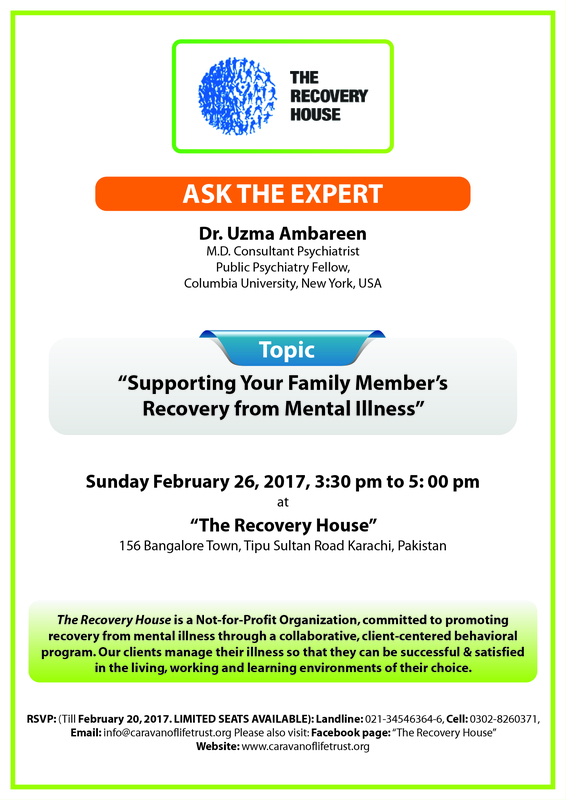 •	To work intensively with families to help them learn, communicate, and become a contributor in the process of recovery. •	To believe in each individual’s capacity to find hope, and to achieve recovery. •	Highest standards of quality in its delivery of services; in the performance of its employees and, in its relationships with family members & supporters and donors. •	Provide services with integrity and consistent with evidence-based practices. •	To deliver the highest quality psychiatric, psychosocial, occupational and vocational rehabilitation in a cost effective manner. •	To provide and administer psychiatric rehabilitation programs and therapy along a continuum of care, that includes residential care, day treatment, active case management and outreach programs to TRH clients when discharged, aiming to improve patients’ functionality, reduce their chances of relapse, and, over time, achieve independence and integration into the community. •	To attract and retain the highest caliber of staff in recognition of the importance of stability in caring for clients. •	To demonstrate through scientific studies and statistical analysis the effectiveness of the continuum of care offered by TRH. •	To serve as a model for both private and charitable organizations seeking to create a healing environment and continuum of care for persons with serious mental illness. •	To raise the standard of care in all of the communities served by TRH by educating and involving those families who care for the mentally ill in the philosophy, program and techniques used successfully at The Recovery House. •	To defeat the stigma associated with mental illness by being a place of learning for clients, providers and the public. •	To earn and sustain the support of the community we serve. •	To earn and sustain the support of those who trust us withtheir time, talent, money and other resources.